Classic Grey Sofa (unofficial name). Width: 84" Depth: 39 1/2" Height: 33 1/2" Inside Width: 79" Seat Height: 19 1/2" Seat Depth: 22"
Width: 84" Depth: 39 1/2" Height: 33 1/2" Inside Width: 79" Seat Height: 19 1/2" Seat Depth: 22" All White Sofa (unofficial name). Width: 84" Depth: 39 1/2" Height: 33 1/2" Inside Width: 79" Seat Height: 19 1/2" Seat Depth: 22" Brown Stripe Sofa (unofficial name). Width: 84" Depth: 39 1/2" Height: 33 1/2" Inside Width: 79" Seat Height: 19 1/2" Seat Depth: 22" Midnight Stripe Sofa (unofficial name). Width: 84" Depth: 39 1/2" Height: 33 1/2" Inside Width: 79" Seat Height: 19 1/2" Seat Depth: 22" BelAir Diner Sofa (unofficial name). Width: 84" Depth: 39 1/2" Height: 33 1/2" Inside Width: 79" Seat Height: 19 1/2" Seat Depth: 22" Oreo Sofa (unofficial name). Width: 84" Depth: 39 1/2" Height: 33 1/2" Inside Width: 79" Seat Height: 19 1/2" Seat Depth: 22" Brown Leather Sofa (unofficial name). Width: 84" Depth: 39 1/2" Height: 33 1/2" Inside Width: 79" Seat Height: 19 1/2" Seat Depth: 22" 70's Stripe Sofa (unofficial name). Width: 84" Depth: 39 1/2" Height: 33 1/2" Inside Width: 79" Seat Height: 19 1/2" Seat Depth: 22" Zebra Stripe Sofa (unofficial name). Width: 84" Depth: 39 1/2" Height: 33 1/2" Inside Width: 79" Seat Height: 19 1/2" Seat Depth: 22" 50's Diner Sofa (unofficial name). 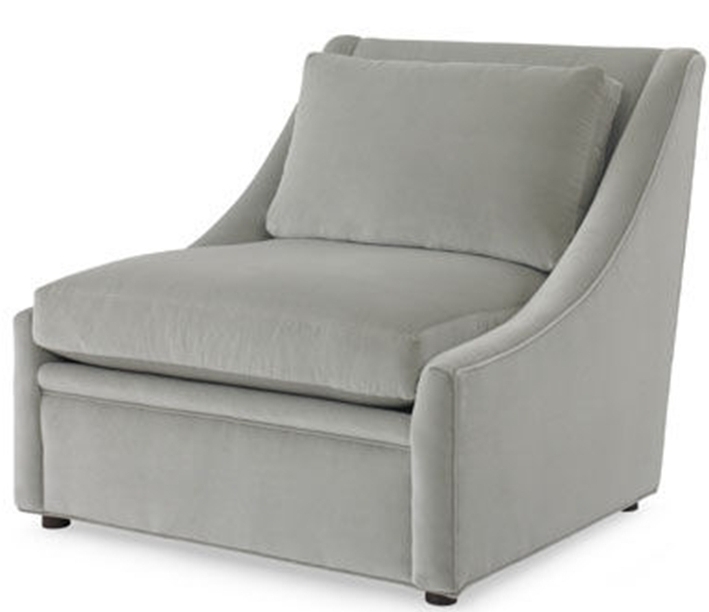 Width: 84" Depth: 39 1/2" Height: 33 1/2" Inside Width: 79" Seat Height: 19 1/2" Seat Depth: 22" Classic Grey Lounge Chair (unofficial name). 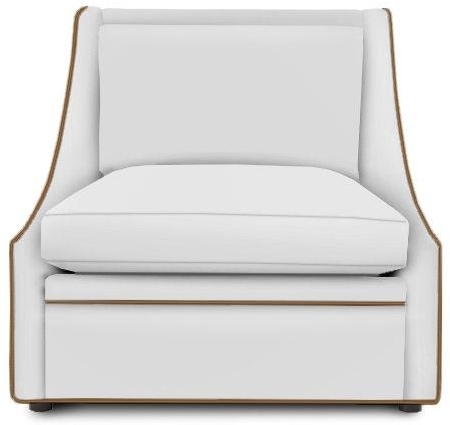 Width: 36 1/2" Depth: 39 1/2" Height: 33 1/2" Seat Height: 19 1/2" Seat Depth: 22" All White Lounge Chair (unofficial name). 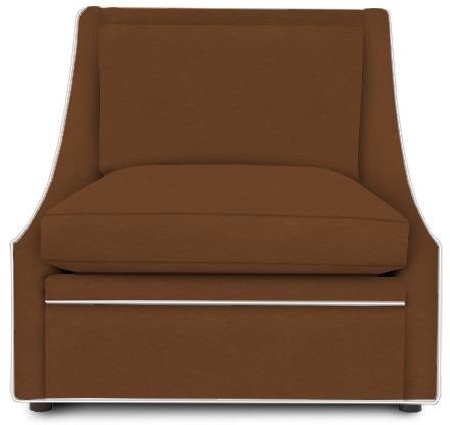 Width: 36 1/2" Depth: 39 1/2" Height: 33 1/2" Seat Height: 19 1/2" Seat Depth: 22" Brown Stripe Lounge Chair (unofficial name). Width: 36 1/2" Depth: 39 1/2" Height: 33 1/2" Seat Height: 19 1/2" Seat Depth: 22" Midnight Stripe Lounge Chair (unofficial name). 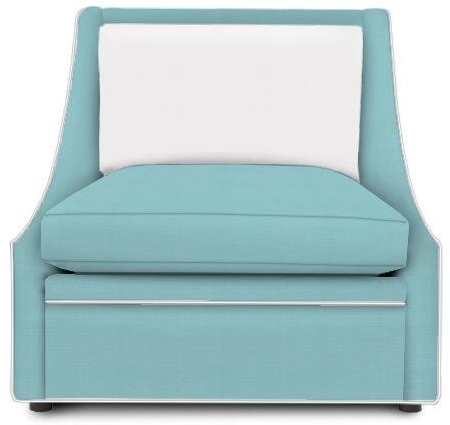 Width: 36 1/2" Depth: 39 1/2" Height: 33 1/2" Seat Height: 19 1/2" Seat Depth: 22" BelAir Diner Lounge Chair (unofficial name). 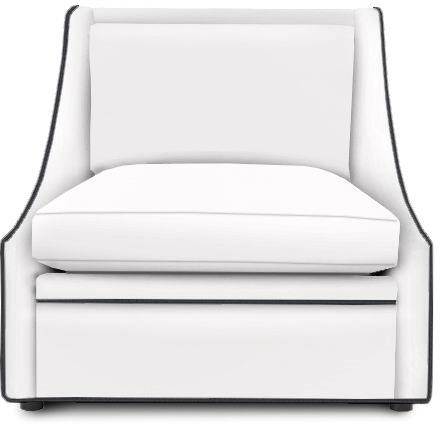 Width: 36 1/2" Depth: 39 1/2" Height: 33 1/2" Seat Height: 19 1/2" Seat Depth: 22" Oreo Lounge Chair (unofficial name). Width: 36 1/2" Depth: 39 1/2" Height: 33 1/2" Seat Height: 19 1/2" Seat Depth: 22" Brown Leather Lounge Chair (unofficial name). 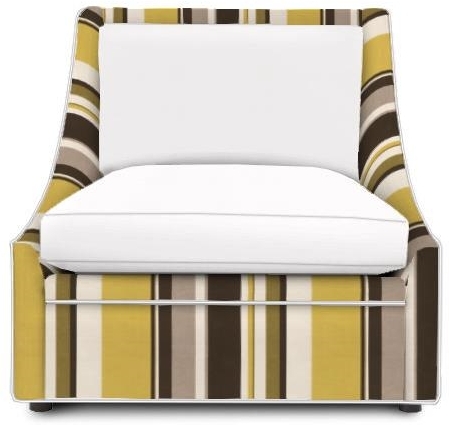 Width: 36 1/2" Depth: 39 1/2" Height: 33 1/2" Seat Height: 19 1/2" Seat Depth: 22" 70's Stripe Lounge Chair (unofficial name). 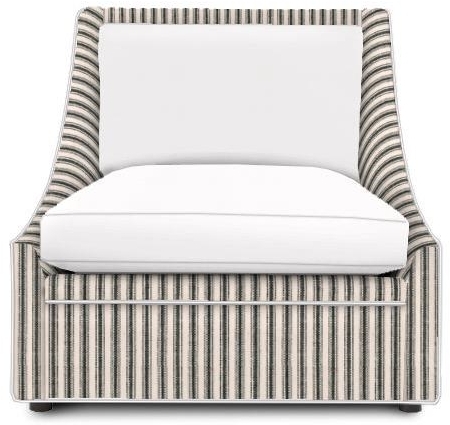 Width: 36 1/2" Depth: 39 1/2" Height: 33 1/2" Seat Height: 19 1/2" Seat Depth: 22" Zebra Stripe Lounge Chair (unofficial name). Width: 36 1/2" Depth: 39 1/2" Height: 33 1/2" Seat Height: 19 1/2" Seat Depth: 22" 50's Diner Lounge Chair (unofficial name). 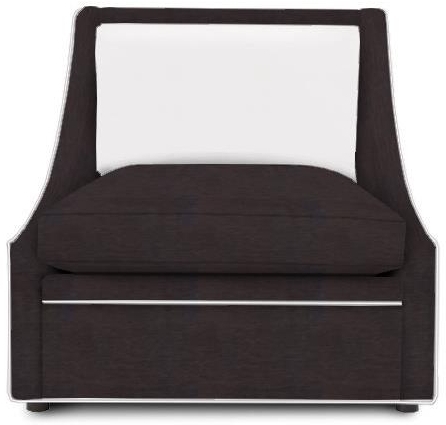 Width: 36 1/2" Depth: 39 1/2" Height: 33 1/2" Seat Height: 19 1/2" Seat Depth: 22" Classic Grey Loveseat (unofficial name). 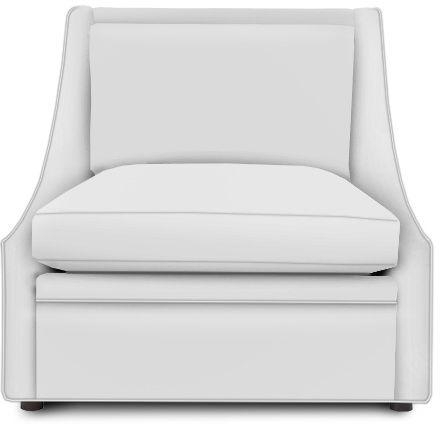 Width: 63" Depth: 39 1/2" Height: 33 1/2" Inside Width: 58" Seat Height: 19 1/2" Seat Depth: 22" All White Loveseat (unofficial name). Width: 63" Depth: 39 1/2" Height: 33 1/2" Inside Width: 58" Seat Height: 19 1/2" Seat Depth: 22" Brown Stripe Loveseat (unofficial name). Width: 63" Depth: 39 1/2" Height: 33 1/2" Inside Width: 58" Seat Height: 19 1/2" Seat Depth: 22" Midnight Stripe Loveseat (unofficial name). Width: 63" Depth: 39 1/2" Height: 33 1/2" Inside Width: 58" Seat Height: 19 1/2" Seat Depth: 22" BelAir Diner Loveseat (unofficial name). Width: 63" Depth: 39 1/2" Height: 33 1/2" Inside Width: 58" Seat Height: 19 1/2" Seat Depth: 22" Oreo Loveseat (unofficial name). Width: 63" Depth: 39 1/2" Height: 33 1/2" Inside Width: 58" Seat Height: 19 1/2" Seat Depth: 22" Brown Leather Loveseat (unofficial name). Width: 63" Depth: 39 1/2" Height: 33 1/2" Inside Width: 58" Seat Height: 19 1/2" Seat Depth: 22" 70's Stripe Loveseat (unofficial name). Width: 63" Depth: 39 1/2" Height: 33 1/2" Inside Width: 58" Seat Height: 19 1/2" Seat Depth: 22" Zebra Stripe Loveseat (unofficial name). Width: 63" Depth: 39 1/2" Height: 33 1/2" Inside Width: 58" Seat Height: 19 1/2" Seat Depth: 22" 50's Diner Loveseat (unofficial name). Width: 63" Depth: 39 1/2" Height: 33 1/2" Inside Width: 58" Seat Height: 19 1/2" Seat Depth: 22"
You may design your own Fishers sofa here. The sofas on our website are meant to serve as examples of what can be manufactured. 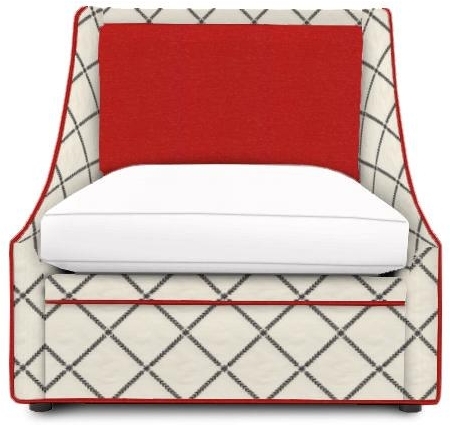 You may design your own Fishers Sofa on Kravet's website. Likewise, you may design your own Fishers Lounge Chair here. Anything you design may be purchased from The Linen Tree. Available fabrics range from linen to silk to cotton and even corduroy. For a better explanation of options or to quote a design, please contact us.